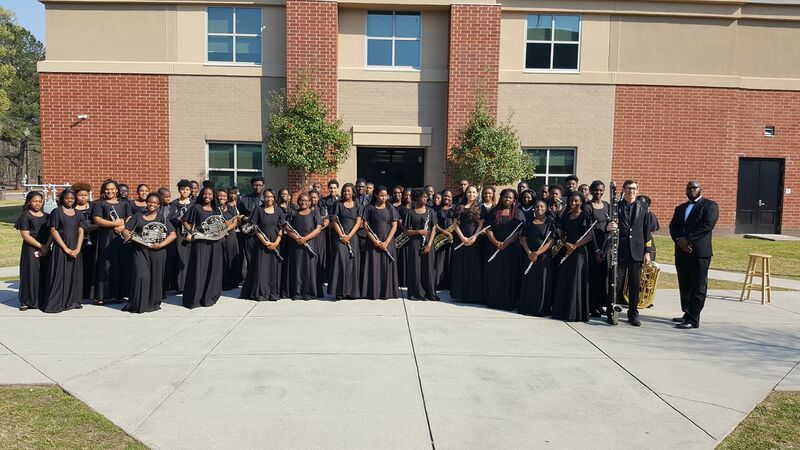 PIPELINE TO THE YARDLINE: A Study On The Relationships Between High School and HBCU Band Programs In The States Of NC, SC, & GA – Block Us Up! The word “relationship” is defined as; the way in which two or more concepts, objects, or people are connected, or the state of being connected. Basically meaning the way in which two or more people, or organizations, regard and behave toward each other. In the band world it is detrimental, to the future of a music organization, that its band leaders create and build upon relationships throughout their profession. Few relationships are more important than that of the high school band director and the college band director. On February, 3 2017 we initiated a mass survey of high school band directors in the states of North Carolina, South Carolina, and Georgia. This survey was apart of a broader study on the relationships between High School and HBCU band programs within NC, SC, and GA. Our hope is that the data collected will give some incite on the relationships, which will either expose a broken system that is in need of repair or highlight the benefits of a successful working relationship. What is the perception of the HBCU Bands in your state on social media? In what ways are you usually contacted by an HBCU Band Program within your state? How often have you received a visit from a staff member of an HBCU Band Program within your state? How are HBCU band scholarship auditions, in your state, usually conducted? 31.6% On the campus of your H.S. Are HBCU band scholarship audition requirements usually sent to the HS director, well in advance of the actual audition? Would you say HBCU Band Scholarship Awards are given accurately or fairly? Has an HBCU band program in your state hosted quality clinical experiences for students (Honor Bands, Summer Music Camps, etc..)? Has an HBCU band program in your state provided oppurtunities for your students to receive private instruction? Has an HBCU band program in your state hosted clinical experiences for Directors (Directors’ clinics, Prof. Dev. opportunities, etc..)? Does an HBCU band program in your state participate in state based NAfME organizations? (SCMEA, GBDA, NCMEA, etc..) as members or host sites? Is there an HBCU band program in your state that is involved in District, Region, and All-State Honor Band auditions (lessons, recorded solos, etc.)? Is there an HBCU band program in your state involved in the preparation of your program for Large Group Performance Evaluation (Concert Festival)? Is there an HBCU band in your state that advocates for your program directly to your school/district administrators? Are you pleased with the overall effectiveness of the HBCU band program(s) in your state? Are most of your students interested in attending an HBCU band program in your state? Are the results surprising in some ways or pretty much in line with what you expected? Leave a comment below to add to the discussion! Prev Post: The Marchingest, Playingest Band in the Land! Next Post: THE RISE OF THE CAROLINAS!